The Highlands Bluebirds baseball team (3-0) handled Elmira (New York), 11-0 in five innings in the first game on the Spring Break trip. The Newport Central Catholic Thoroughbreds softball team stayed undefeated at 4-0 with a 10-0 win over visiting Simon Kenton on Monday in five innings. The only baseball or softball games played since Wednesday involving Highlands or Newport Central Catholic came Friday. 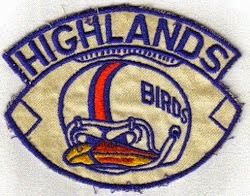 The Highlands Bluebirds baseball team picked up its first shutout of the season Wednesday. The Highlands Ladybird softball team dominated its opener Tuesday. 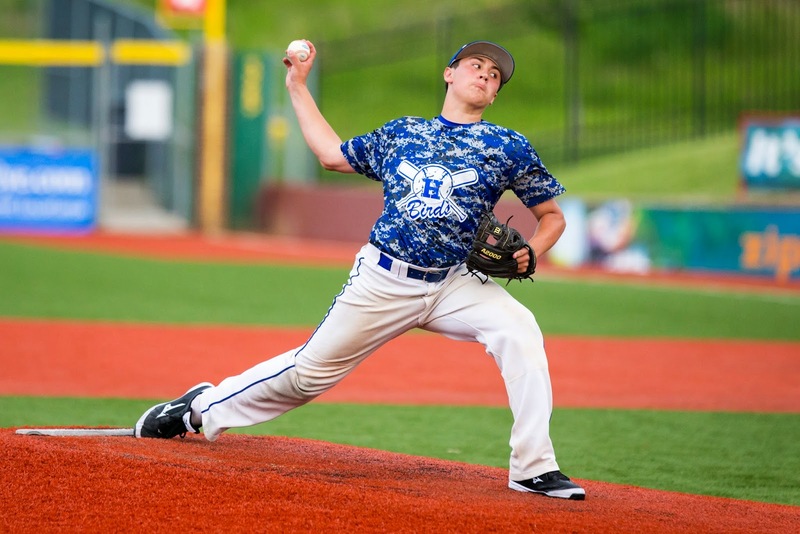 The Highlands Bluebirds baseball team opened the campaign with a 5-2 victory over the visiting Beechwood Tigers on Monday. PHOTO: Allen Ramsey, DWCPhoto.com. Highlands junior Ricky Raisor fires a pitch in last year's 9th Region championship game against Conner. Raisor is one of 13 pitchers that give the Bluebirds depth this season. It was a tough feeling, but it propelled the returning players into the off-season determined. The Newport Central Catholic Thoroughbred baseball team earned its first win of the year, 11-3 against Bishop Brossart on Friday in the Catholic Schools Tournament at Lexington Catholic. The Newport Central Catholic softball team ventured to Walton-Verona on Thursday and came back with a 6-5 victory to move to 2-0 on the season. The Newport Central Catholic Thoroughbred softball team opened the season with a road run-ruling Wednesday. PHOTO: G. Michael Graham. The new Highlands Field House has already been beneficial to the baseball and softball teams in the inclement weather. It has been said many teams throughout the history of the Fort Thomas Independent School District. PHOTO: Allen Ramsey, DWCPhoto.com. 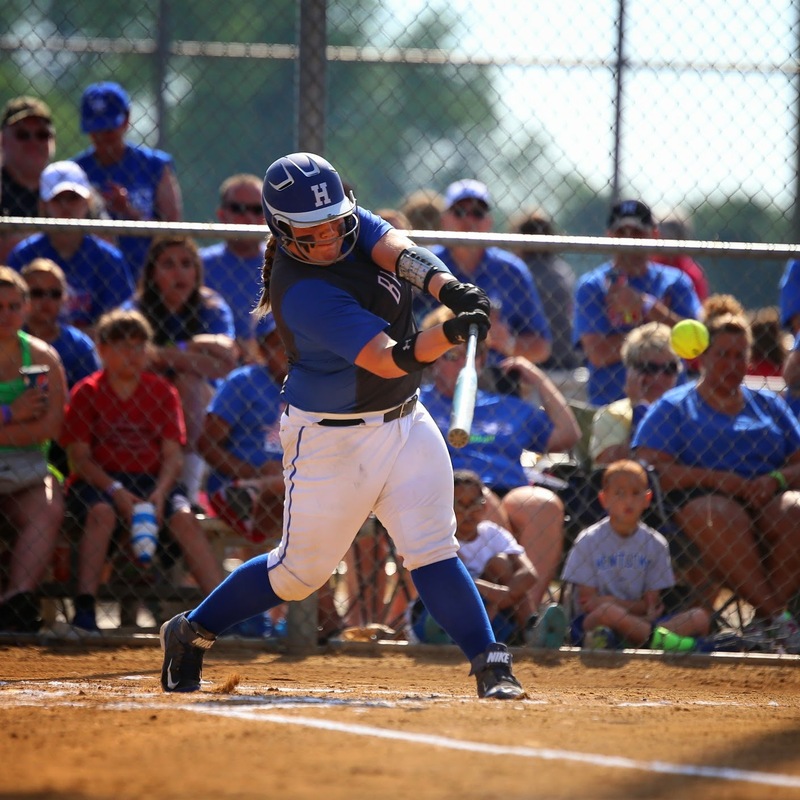 Highlands junior Shelby Graybill blasts a home run in the state tournament last year. Graybill is one of six returning starters in the infield for the defending 9th Region champions. It took just one season to change the perception of the program. PHOTO: Allen Ramsey, DWCPhoto. Highlands guard Zoie Barth (14) tries to score on Holy Cross senior Cessie Mayhaus (32) in Saturday's 9th Region semifinal contest. PHOTO: Allen Ramsey, DWCPhoto.com. 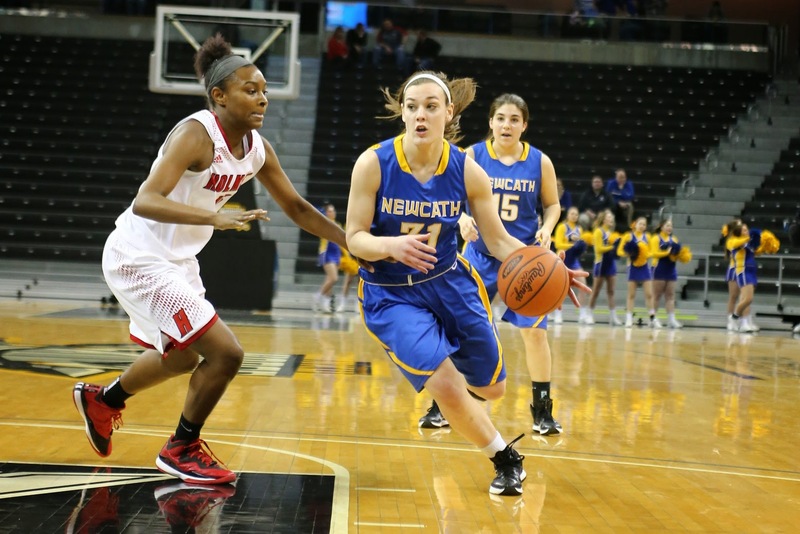 Newport Central Catholic sophomore Meg Martin (31) drives on Saturday against Covington Holmes. 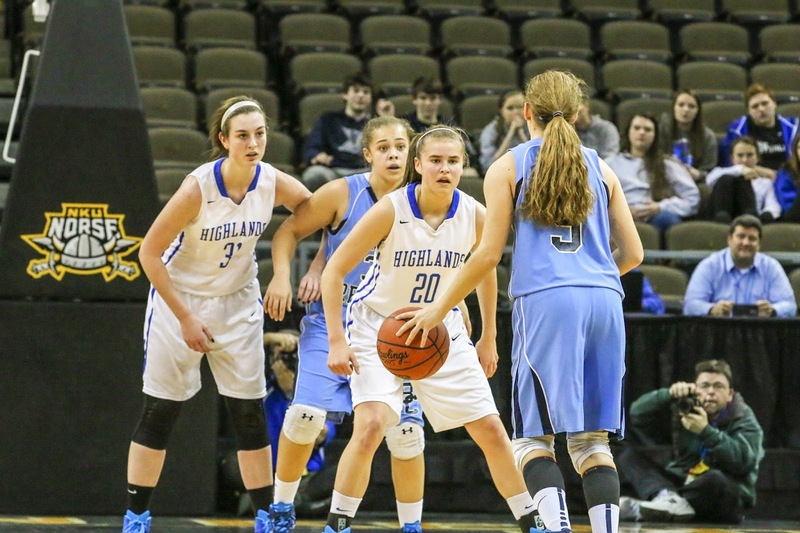 HIGHLAND HEIGHTS - They 36th District girls basketball rivals would not have minded one more round in the 9th Region title game. PHOTO: Allen Ramsey, DWCPhoto.com. 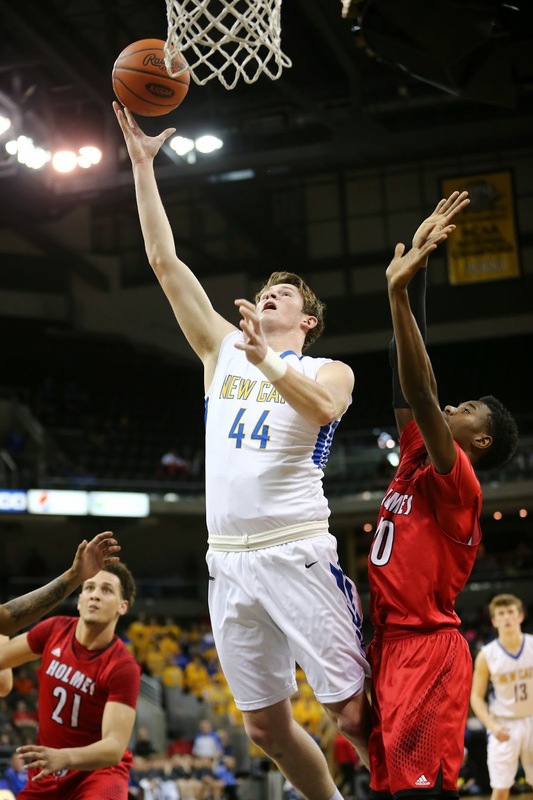 Newport Central Catholic junior Ben Weyer scores in the 9th Region quarterfinal game against Covington Holmes. HIGHLAND HEIGHTS - It may feel like a curse in many ways. PHOTO: Allen Ramsey, DWCPhoto.com. 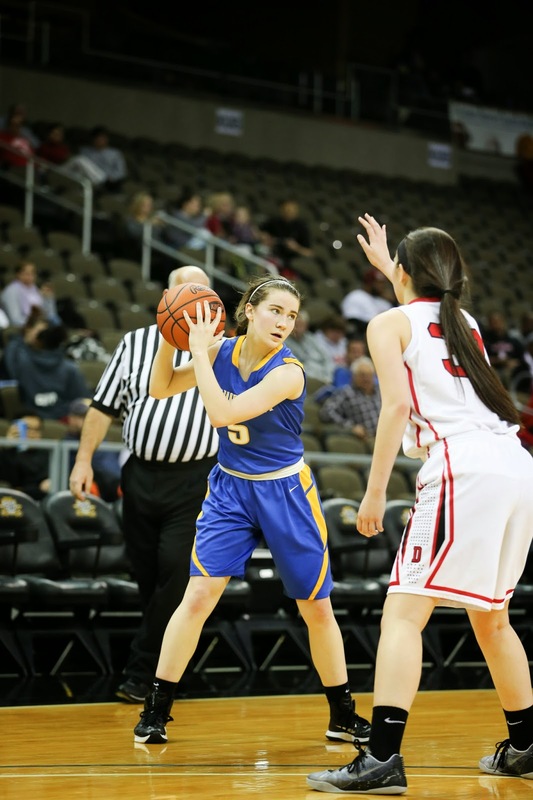 Highlands junior Brianna Adler (10) puts up a three-point shot in the 9th Region Quarterfinals on Monday. 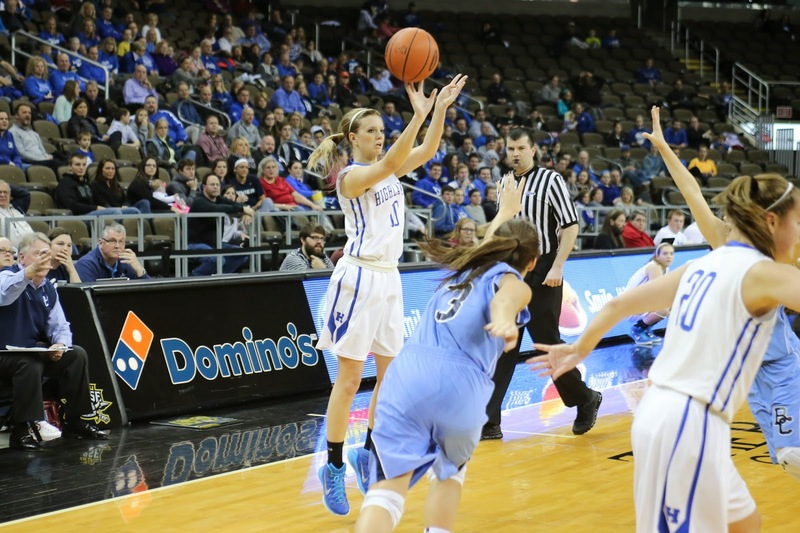 Adler averages 11.6 points per game for the Ladybirds. PHOTO: Allen Ramsey, DWCPhoto.com. Newport Central Catholic sophomore Olivia Schalk makes a move in Tuesday's 9th Region quarterfinal game against Dixie Heights. 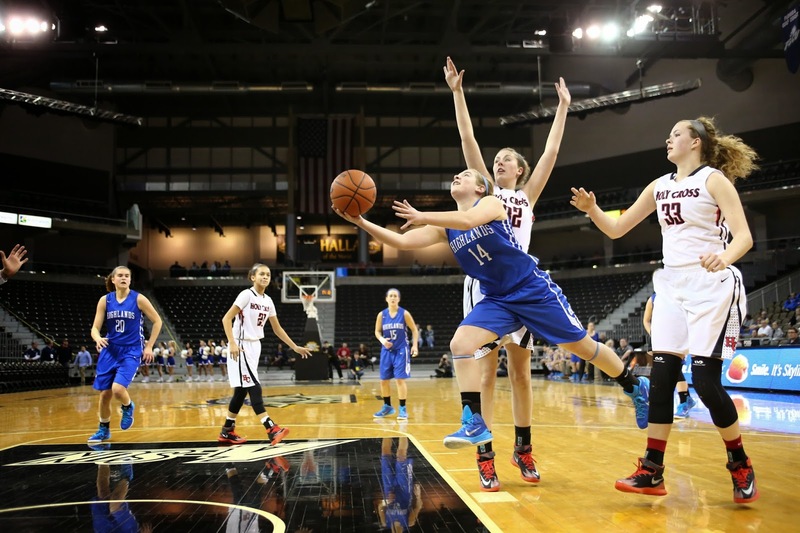 HIGHLAND HEIGHTS – It is not a surprise the girls 9th Region Tournament comes down to the representatives of these two districts. PHOTO: Allen Ramsey, DWCPhoto.com. 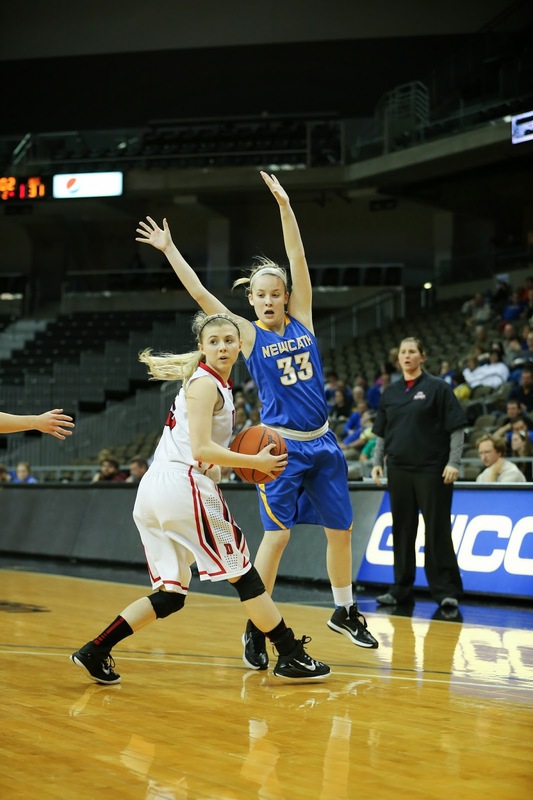 Newport Central Catholic senior Hannah Daunt (33) applies pressure in the Girls 9th Region quarterfinal game Tuesday at the Bank of Kentucky Center. Daunt scored eight points and had a steal in the 65-48 Thoroughbred win. HIGHLAND HEIGHTS - Newport Central Catholic Thoroughbred girls basketball Head Coach George Stoll wanted to figure out ways to contain Dixie Heights standout Liza Tibbs. PHOTO: Allen Ramsey, DWCPhoto.com. Highlands junior McKenzie Leigh (31) and Lydia Graves (20) get in defensive position as Boone County's Macey Ford (3) brings the ball upcourt. Highlands won 50-39 to advance to the 9th Region semifinals for the third straight year. HIGHLAND HEIGHTS – They may have reached an incredible milestone with their 30th victory of the season.